Prices listed for US customers only and all international customers need to contact our authorized distributor partners to obtain quotes. 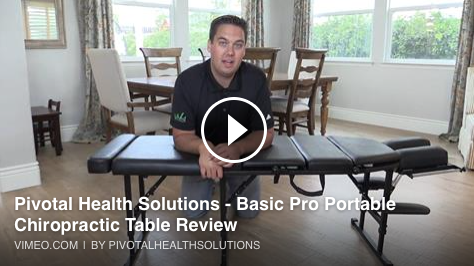 Beautifully portable, the Basic Pro portable chiropractic table is still tough enough to withstand the requirements of the most demanding use. It features both thoracic and pelvic drops, narrow shoulder design, five angle adjustable headpiece, adjustable ankle extension, 2” thick multi-layered firm foam cushion, adjustable height and folding legs. The Basic Pro portable chiropractic table comes standard with paper holder, hand rests and carry case.